Here we have it fans, long running and newcomers alike. 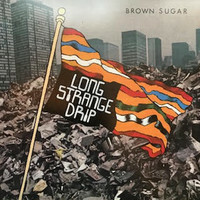 The ultimate in records by the almighty Brown Sugar. Almost ten years after the band formed Feral Kid Records now presents to you this experience of a collection LP compiling all tracks from the bands singles and compilations, as well as the unreleased 7th single, unreleased tracks, songs from the 'Songs About Birds' demo, and more. Essentially everything that the band ever did aside from the powerhouse LP also released by Feral Kid Records.